Birth control is one of the most reliable ways to avoid unplanned pregnancies when used correctly. Besides preventing pregnancies, birth control offers a variety of other social and lifestyle benefits, too. 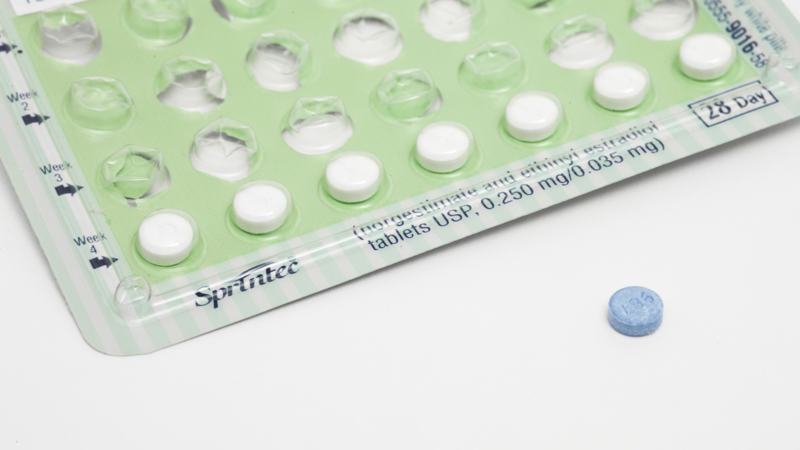 According to researchers at the Guttmacher Institute, out of the 11.2 million American women who take the pill, 14% of them take the pill for reasons other than preventing pregnancies. If you’re thinking of switching to the pill, here are some additional health benefits of taking hormonal birth control. Over 50% of women who menstruate experience painful cramps for 1-2 days during their cycle. The chemical prostaglandins trigger muscle contractions in the body while helping shed the uterine lining, causing painful cramps in the uterus. Birth control pills reduce the number of prostaglandins produced in the body, so you experience less discomfort during your menstruation cycle. Experts think menstrual migraines are linked to the severe drop in estrogen levels that occur during part of the menstrual cycle. In fact, over half of women who get their periods report menstruation as a trigger for attacks. Taking an oral contraceptive that allows you to skip your period completely can keep estrogen levels up, avoiding the trigger of a migraine. Hormonal fluctuations are typically major acne triggers. Doctors often prescribe combination birth control pills, which contain both estrogen and progestin, because they can lower the body’s level of androgen, a hormone that helps produce oils in the skin. Combination pills used as a form of contraception can improve the complexion of girls and women who suffer from acne. Some women who suffer from extremely heavy periods every month lose a large amount of blood, which can lead to anemia. Anemia is a condition that develops when your blood lacks enough healthy red blood cells. This can cause fatigue and weakness. By going on hormonal birth control, women can lighten their periods or skip them which will help prevent period-related anemia. Ovarian cancer is the fifth leading cause of cancer deaths in the United States. Research has shown that women who use the pill are less likely to develop this type of cancer. Furthermore, the longer women take the pill, the less likely they are to suffer from ovarian cancer. Previous research has found women who use oral contraceptives have a 30 to 50 percent lower risk of developing ovarian cancer than women who have never taken the pill. Living with endometriosis can be painfully debilitating for some women. Endometriosis is a condition that occurs when the tissue lining your uterus, called the endometrium, migrates out of your uterus and attaches to places inside your pelvic cavity. This tissue bleeds during your period, no matter where it’s located. When the tissue bleeds in places where blood can’t easily get out of your body, it causes pain and inflammation. Endometriosis can even lead to problems with ovulation, conceiving, and fertility. However, going on the pill reduces monthly uterine buildup and shedding, which prevents the migration and growth of uterine tissue outside the uterus. If you’re interested in taking birth control for reasons other than preventing pregnancies, talk to your doctor. It’s important to remember that every medication has side effects, so make sure to speak with a licensed professional to ensure that you’re taking the pill that’s right for you. Sign me up for exclusive offers, updates and The Owl blog posts.